Keep this root fresh and available to add to your Asian recipes. This guide is about storing fresh ginger. I love to make Asian food, and I like to make it with fresh ginger. I buy a big chunk of ginger root from the market, but have wasted a lot in the past. I found if I blanch the root in boiling water, peel it using the edge of a spoon (I use a grapefruit spoon), then freeze the chunk in a zip lock bag (Be sure to squeeze out all the air), I have fresh ginger whenever I want. I take out the frozen chunk and grate the amount I need with a microplane, then pop it back into the bag and refreeze. Lasts till I use it up. Works great for really nice ginger cookies too. I use ginger a lot. It's not easy to peel and dice or grate, so I hit upon a way to make it easier. I keep it in the freezer and grate it without peeling. The frozen peel plus the inside crumble instantly. What is the best way to store fresh ginger? Freeze the sucker! You can easily grate the root even frozen and get even a finer consistency than you would grating it fresh. Just wash off the dirt and leave on the peeling. The peeling will grate just fine. And you definitely won't be losing any nutrients that way. If you insist on cutting it into fine pieces, just defrost in the microwave for ten seconds. It will be soft enough to cut with a sharp knife. Then simply refreeze. I peel the ginger and store it in a jar filled with cooking wine in the refrigerator. That way the cooking wine has ginger flavor when I use it and the ginger stays fresh for a long time. I am sure that the freezing would be fine, but for the normal smaller amount that I try to always have on hand, I use a safe plastic storage container, put enough cold water in it to cover the piece of ginger, sprinkle a few good shakes of salt into the water and stir to dissolve. Place the ginger in the container, close lid tightly. 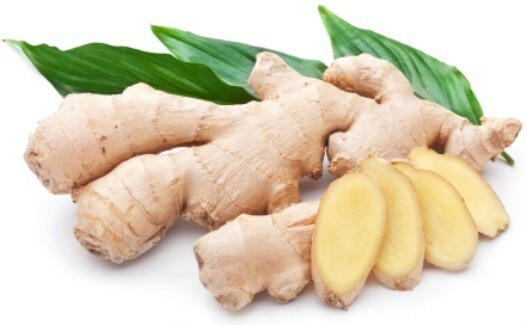 After a week or ten days, check on the ginger, and replace the water & salt to keep fresh longer. I cut it into chunks and freeze it. I use mine in smoothies so chunks are fine. The best way to store fresh ginger is to freeze it, unpeeled. It will last almost forever. Then just wash and grate the amount you need and stick back into freezer. How do I store fresh ginger and for how long? Try coating it lightly with paraffin wax, then peel before you use it. Keep until it looks kind of dry and wrinkly. Keep it in the freezer. It grates easily frozen. Did you know that ginger is not only good for making Asian and Indian Recipes, it has medicinal properties too? It has been uses for thousands of years for stomach problems. It is excellent for helping people that are going through chemotherapy. You can chew on the root , or eat small pieces of candied ginger, or make a tea with it.